Thank goodness I have friends who love breakfast as much as I do! One of my friends suggested we meet at Pancakes & Waffles BLD, and I happily agreed. It's been just about a year since I had last visited Pancakes & Waffles BLD, so I was eager to see if all the kinks had been worked out from my first visit. I opted for the P&W Special Omelette. The gigantic, 4 egg omelette was stuffed with ham, Portuguese sausage, bacon, tomato, onion, bell pepper, mushroom, potato, and cheese, and topped with hollandaise sauce. The omelette was really delicious, especially with the hollandaise sauce. 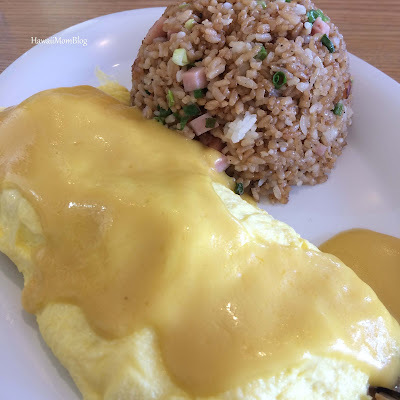 I also got Fried Rice for extra - it was very tasty! 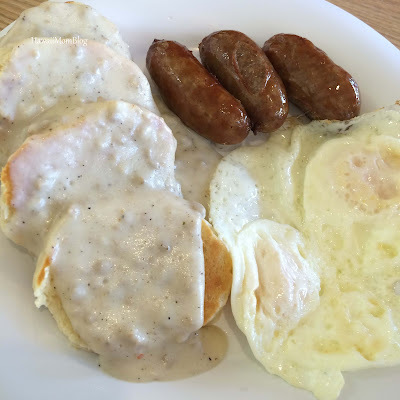 My son devoured his waffle, and my friend liked her Country Breakfast, which consisted of Country Gravy on 2 Buttermilk Biscuits, Eggs, and Scottish Bangers. Service was quick and efficient - much improved over the first visit, but still just as friendly as my original visit. 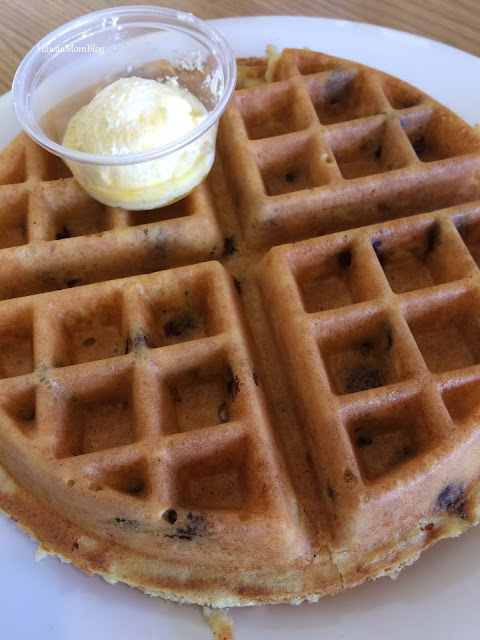 Pancakes & Waffles BLD is definitely a great spot for anyone who loves breakfast!